With its unique look, the Webb Bridge is part of the public art project. The design is to resemble a Koori Eel Trap, the design of the bridge gaps the south side housing development with the northside entertainment, shopping and dining venues. 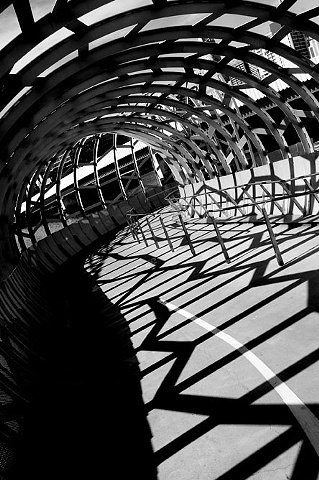 Designed by Denton Corker Marshall in collaboration with artist Robert Owen, forming a cycling and pedestrian link to the main part of Docklands through Docklands Park.